Report RSS	1.900 Beta "Release Candidate 1" Released! 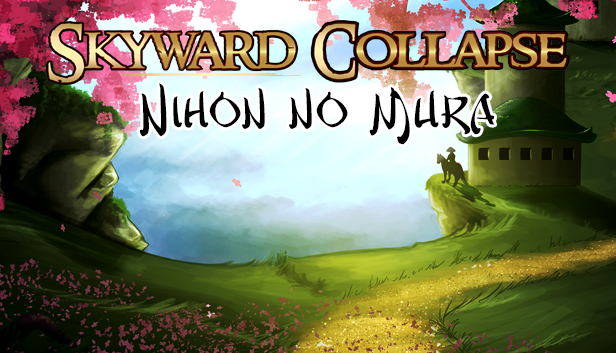 Skyward Collapse 1.900 beta "Release Candidate 1" completes the list of implemented features so far for the Nihon no Mura expansion: Woes, God-Related Creatures, and New Hamlet Stuff. This one is pretty substantial, and completes the list of implemented features so far for the new expansion. Thus this release is the first "release candidate," which basically means we're into fine-tuning-only mode until this launches next Wednesday the 21st. There are nine new woes, all specific to things in the expansion. People have been wanting bandit gods for a while, and one of these provides that. The bandit gods don't use powers or their creatures, as I think that would be overkill, but it's still cool to see those running around. Another woe lets you have six gods between your two factions, rather than the usual four, so that's pretty cool. There are also two new catastrophic woes, which is particularly good because that helps to dilute the relatively small pool of the ones that were there before. So as Misery has pointed out, some of the Japanese god-related mythos are not things you would really want to inflict on yourself. We designed those before we really had a good sense of how strong the Japanese faction would be: originally they were going to be kind of weaker, and so you'd need to use these creatures to make up the difference. As the design evolved, the Japanese became super strong, and thus the designs of these creatures -- which fun and varied -- started falling into "why would I do that to myself" territory. The solution to this was to go back to one of the earlier design ideas that we started with for the Japanese gods in the first place: having them produce these creatures directly, in addition to you being able to place them at well. This is only so interesting if the god is producing them out of himself/herself, though, because it gets semi-predictable. That's one reason why the idea was previously scrapped. In the new implementation in this version, the creatures from the gods come out of the town centers of the Japanese. This has important strategic ramifications, because it makes Large Towns a lot more important to the Japanese faction if they don't want to trample their opponents. There were a lot of changes made here based again on feedback from Misery (definitely the allstar of feedback for this expansion, followed by nas1m). Overall the changes in this version have you playing from the entire hamlet-building-queue now, and sometimes having to take some negative points temporarily in order to get a better position later. This is a big improvement in how strategic the Idyll mode plays out. Also, slums are really becoming more and more of an interesting problem (in a good way, as that is supposed to be their role). They are a powerful positive force in terms of running out civilians that are blocking you, but then they are really negative in terms of points on some placements later. Those are tricky, and also encourage playing low in the queue on a combo to place a slums and then replace the slums. I don't know that the Hamlets mechanic is 100% to where it needs to be, and I imagine it may evolve somewhat over months or years (as with many of the best AI War mechanics, sometimes these things just take time). But I'm really pleased with where it is now, and think it's really fun.